The run up to Christmas can be hard on your finances, so we've complied the week's best deals and discounts - that way you can save your pennies for the fun things this time of year, like presents and mulled wine. This week brought with it a lot of good offers. If you're on the lookout for a new car, Honda is currently running a test drive event on a number of it's best-selling models. You can currently get a £1000 discount and £599 towards servicing on the Civic, HR-V, CR-V and Jazz when you test drive one before 31 January 2018. This offer is also in addition to some generous deposit contributions, with £3000 towards the CR-V, £750 towards the Jazz and Civic, and £500 towards the HR-V. If it's a new motorcycle you're after, MotorCycles Direct is giving away a £235 accessory pack with every purchase of Piaggio, Vespa, MP3 or small Aprilia. The pack includes a LID Helmet (£99.99), Oxford Aquatex Bike Cover (£24.99), Oxford Barrier Tough Chain Lock (£59.99), Oxford Comfy (£14.99), Oxford Junior Disc Lock (£19.99) and Tool Kit (£15.99). There's also a a 0 per cent APR finance offer on all new Kawasaki models. Europcar is offering up to 25 per cent off car hire. Bookings must be placed by 18 December 2017 for pick ups between 1 and 25 December 2017. The maximum 25 per cent discount is offered for checkouts from 21 to 25 December 2017 for a five to 13 day duration at airports. Those who shop at Tesco can get see their money stretch three times as far with RAC Breakdown Cover. 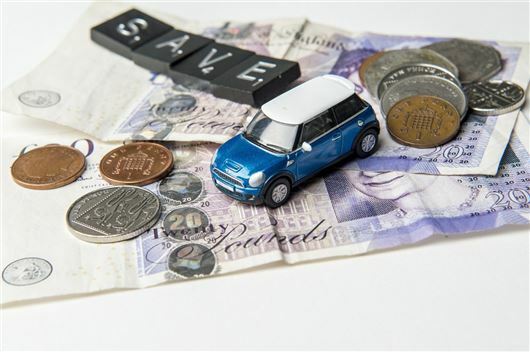 You'll get three times the value of your vouchers to spend on RAC personal based breakdown cover; for every 50p you have in Tesco vouchers, you'll get £1.50 to spend with the RAC. If you haven't got enough Clubcard vouchers for the cover you'd like, you can top up with a credit or debit card. Monday saw the new driving test changes come into force. In honour of the satnav portion of the new test, Halfords introduced a new driver satnav discount. New drivers can save money on one of three satnavs on offer and the discount can be redeemed in Halfords' stores when drivers show their provisional or full driving licence (provided they have passed in the last 12 months). The TomTom Start 52 is reduced by £20 to £99.99, the TomTom Go 520 World is reduced by £50 to £169.99 and the Garmin Drive 51 LMT-S UK is reduced by £30 to £89.99. Throughout December and January, you can also claim a free standard winter kit when you buy any two Michelin tyres online, or claim a deluxe winter kit when you purchase four or more Michelin tyres online in a single transaction online at Kwik Fit. The standard kit comes with a fleece blanket and pillow, a multitool, fleece ice scraper, duffle bag and Michelin man keyring. The deluxe kit also comes with a digital tyre tread and pressure gauge, Moto GP umbrella, boot tidy and vacuum drinks bottle. You must have your tyres fitted at a Kwik Fit centre within one month of purchase to be eligible. There's also a couple of insurance offers currently running. One year's free insurance is available on both the new Volkswagen Polo and the Renault Clio when you buy through Personal Contract Purchase. To see more great finance offers, like the top five PCP deals for under £99 per month, take a look at our finance page.